Mark Noble played Ötzi in the BBC’s “The Icemand Murder” (2005). 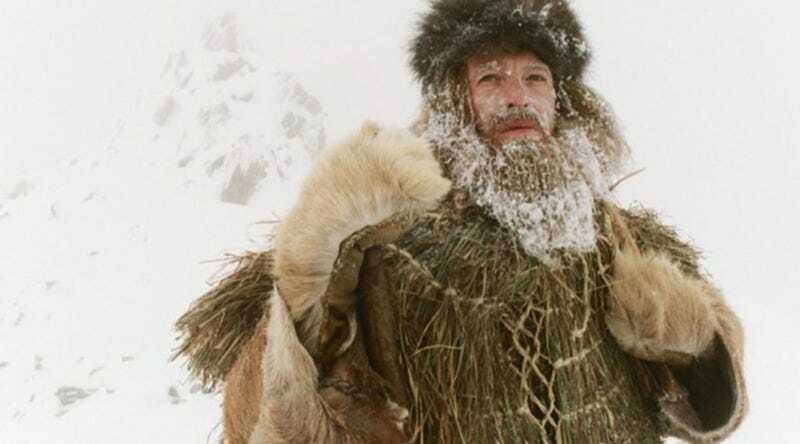 Now Italian scientists have recreated the iceman’s voice. Ötzi the Iceman, the world’s favorite prehistoric mummy, has been subjected to every scientific test imaginable, since his remains were discovered poking out of a glacier high in the Italian Alps in 1991. Now, a team of Italian researchers has reconstructed Ötzi’s vocal cords and used it to reproduce what his voice may have sounded like. The team announced the project back in February and used a series of CT scans to map the structure of the vocal cords and vocal tract, based on their length. Then they ran that data through mathematical models and special software to simulate how the vocal tract works. The result—presented yesterday at a conference in Italy celebrating the 25th anniversary of the discovery—is a rough digital approximation of a prehistoric voice.